I thought I would kick the weekend off with a healthy dip, a dedication to Trader Joe’s and a little fun game for you to celebrate my love for Trader Joe’s! But first the dip! 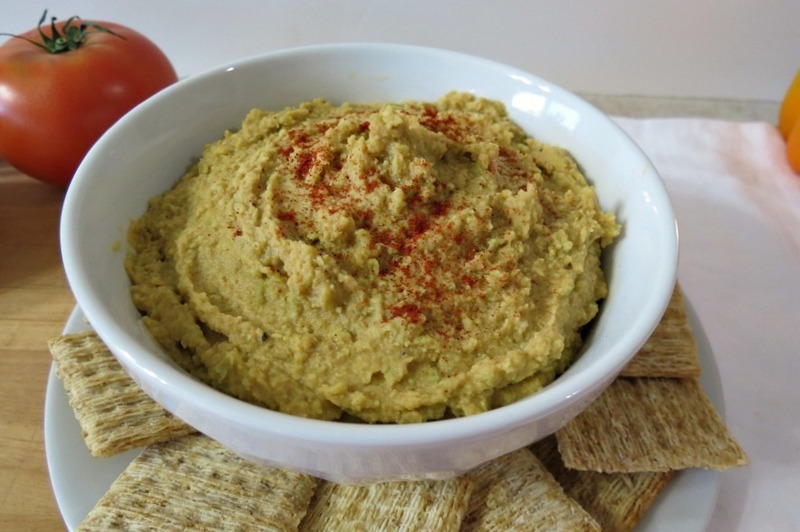 This is my Smoked Paprika Edamame Bean Dip. It’s super duper creamy, a slight zip of garlic, a kick of cayenne and a tang of lemon. It’s a party in your mouth!!! I got all my ingredients at my favorite store Trader Joe’s!! Actually I think 90% of my recipes are Trader Joe’s ingredients, you know how much I love them!! Ahhhh, my precious pepper. I swear I put pepper in everything!!! What can I say, I like it a little spicy. However the couple of dashes of cayenne pepper does not make the dip spicy, it just adds a little flavor and a tiny amount of heat, and I mean a tiny amount!! 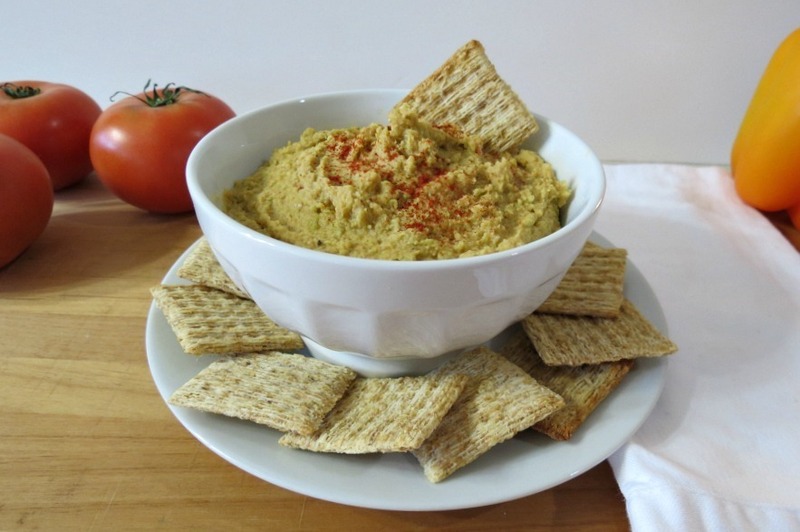 I served this dip with wheat crackers, which seems to go well with the dip, but also pita chips and veggies will go great to. Unfortunately my fridge is pretty low on vegetables right now, so I went with crackers, but I’m thinking tonight I should get some veggies, I really need some! 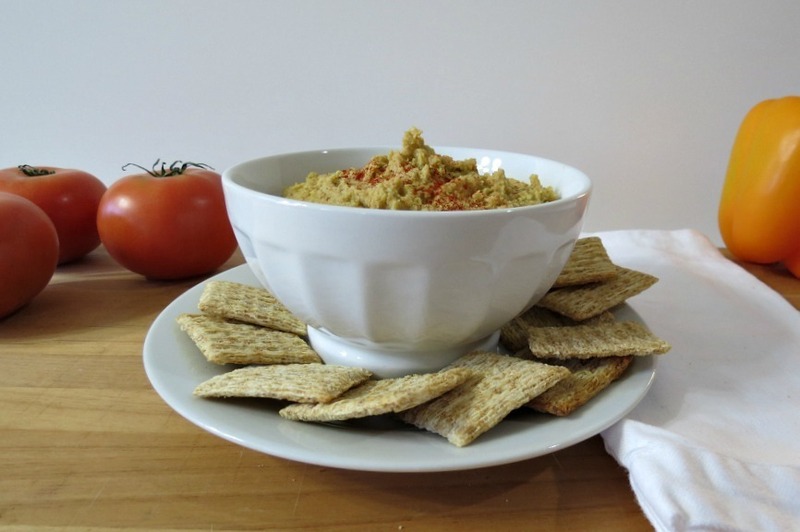 This dip would be perfect for serving at a holiday party or at football party. You can serve it how I have it pictured or you could scoop some on a toasted baguette or place on a sandwich or pita. The flavor is so versatile, it would go with practically anything! 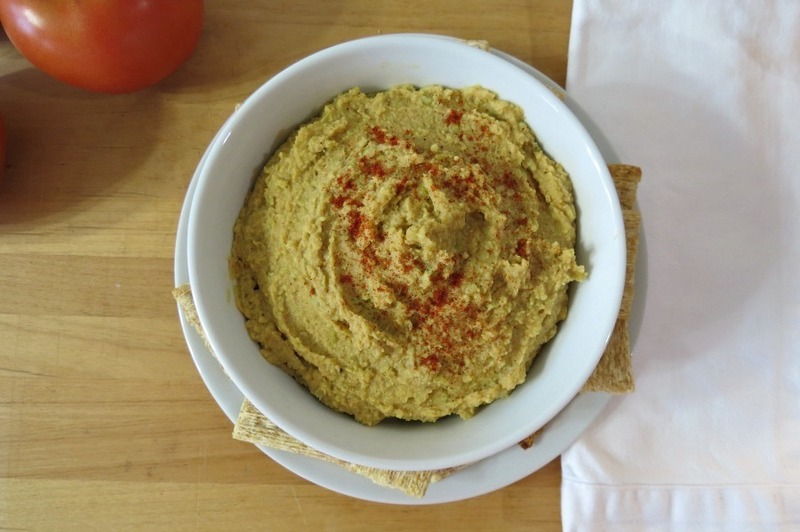 A creamy, zippy dip made with edamame beans, cannellini beans, paprika, garlic and lemon. In a food processor add all of your ingredients and process until smooth. Now for the fun part! I teamed up with Skinny Scoop to promote the Trader Joe’s Social List. Have you ever heard of Skinny Scoop? It’s a pretty cool free site. If you look to the right of my post, you will see my Skinny Scoop badge. I post my recipes to it everyday. Skinny Scoop is a social site where you create lists of things you like. For example it can be recipes, movies, books, Mathew McConaughey (he he), toys, the 80’s and so on. I have several lists of my recipes and other things like Trader Joe’s. All you do is add things to your list, by adding the website link. Pretty Neatol! Other people will check out your lists and click on it and they go right to that website. So for today’s fun game, you can create a Trader Joe’s list! 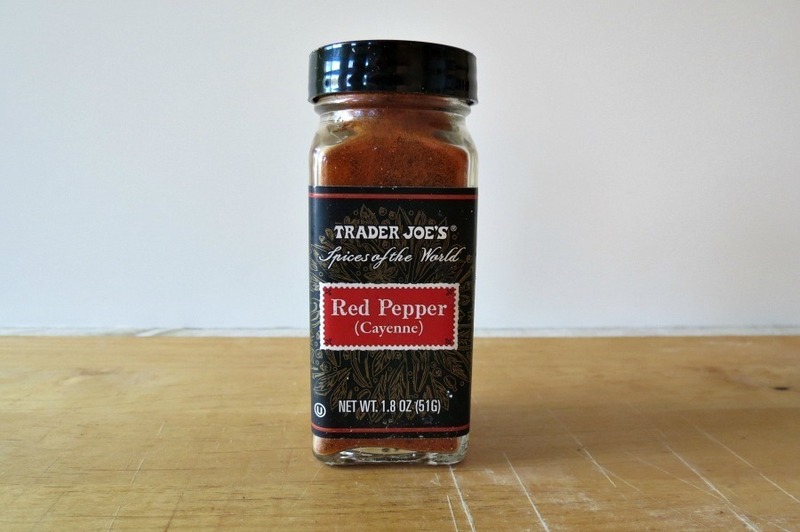 All you do is go to this link, and click on the Trader Joe’s items you like, that’s it. Then a list is automatically created for you. Totally cool! People can also comment on the items. If there is an TJ’s item you love you can say so, if there is one you don’t care for, you can comment on that too! It’s a great way to get your opinion out there. I just thought I should put this out there, if you’re a food blogger, this is a great way to get your recipes out there. If your a writer, you can add books, poems, short stories ect… If you’re a shopper, you can add clothing, shoes and more, your style. Have fun with it!!! I really think you will like Skinny Scoop! If your curious to my page, you can check that out here. Let me know if you created a list! I’m curious to what you think!! With the smoked paprika and the cayenne, I know this is a dip that my taste buds would lust after!! Do you drain the beans of leave the liquid? Opps, I forgot to put that, thanks for reminding me. I drain and rinse the beans! I’ll update my recipe!! Cool, thanks Jen! Sounds really yummy! This sounds great! I also put cayenne in everything, and I mean everything! My husband is worse than I am, though. What can I say, we’re obsessed! Hey I understand yah! I love my Cayenne, I tend to put it on a lot of recipes. My Husband thinks I’m crazy!! I am all over this dip – it looks and sounds awesome!! I love smoked paprika, what a great addition. I only wish of a TJs opening near me…I’m hoping 2013 will be the year! Oh, I hope you get a TJ’s too!!! Happy New Years to you!! 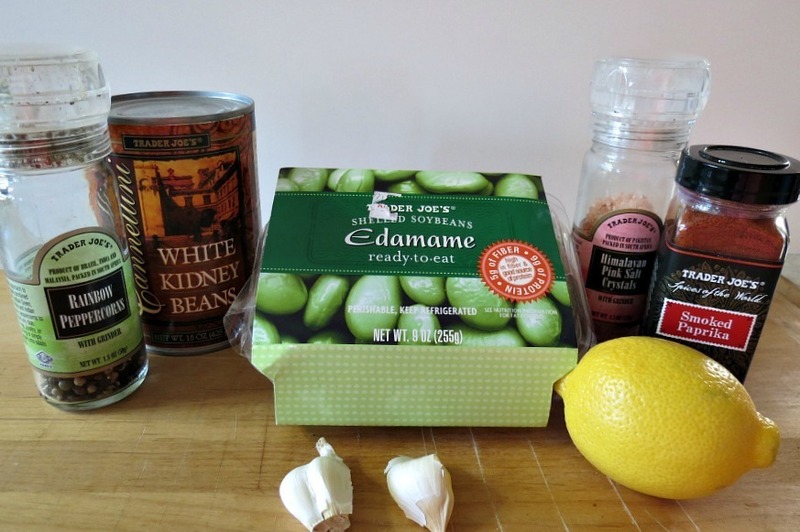 I’ve been meaning to try out an edamame dip. This looks great! Also thanks for the skinny scoop link! Thank you and your welcome for the link! Edamame is my favorite little bean. 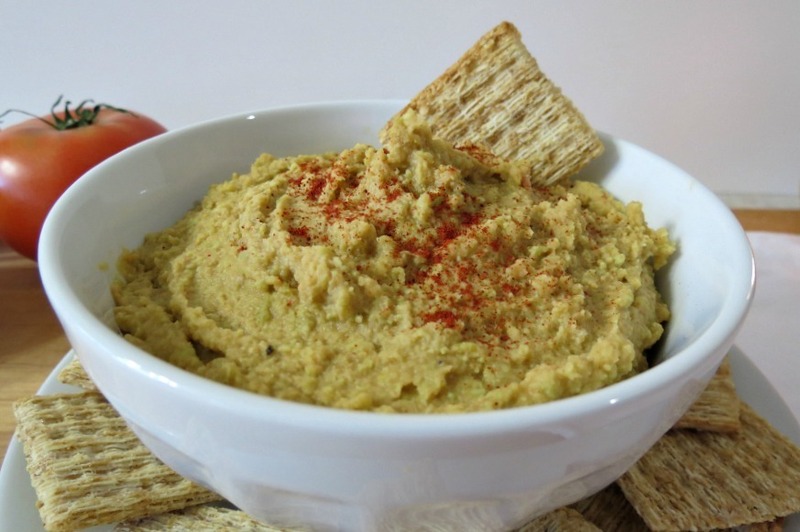 🙂 I’ve made edamama hummus before – I LOVE all sorts of bean dips. I must try it with paprika! I can’t be trusted around dips. I love them too much and will eat the whole bowl! I am so with you! I can’t be trusted with dips either and yes I have been known to eat a whole bowl within a day!! Happy New Years to you and your family and your adorable pup!!! I’d definitely try it with veggies. After christmas I feel like something healthy 🙂 Thank you for sharing. I just picked up some veggies for the dip! Since I didn’t have anything to dip in it, I was eating it by the spoonfuls.